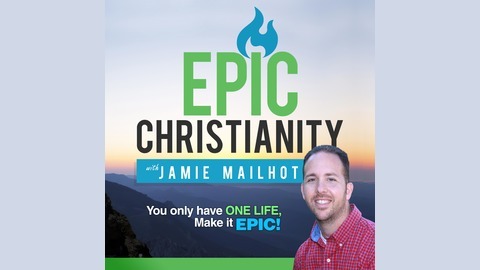 The Epic Christianity podcast will encourage, inspire, and empower you to live your best life. You will be inspired from the lives of Epic Christians as they share their stories and their tips for success. The episodes will encourage you to live your purpose, motivate you to reach your goals, and empower you to stay focused on living your best life as you become all God created you to be. 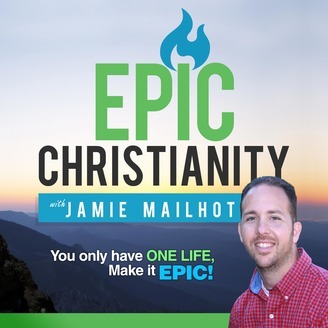 Start out by going on a 7-day journey with Christian Author and Life Coach Jamie Mailhot as he walks you through a proven process to build the life you will be proud to live. You will establish your greatest commitments, discover your purpose, clarify your goals, and build a plan of actions and habits to help you create and live your best life. The weekly to bi-weekly episodes following will all be created to inspire you and help you stay focused and grow as you build your Epic Christian life. Come along the journey as we interview Epic Christians, as we grow together, and as we each strive to live our purpose and make the most of our one lives. You are gifted, you have greatness within you, and God has a great plan for your life. Be encouraged by this podcast as you strive to live your best life and leave the legacy you’ll be proud to leave. To find show notes and to connect with the Epic Christianity community visit http://EpicChristianity.com.